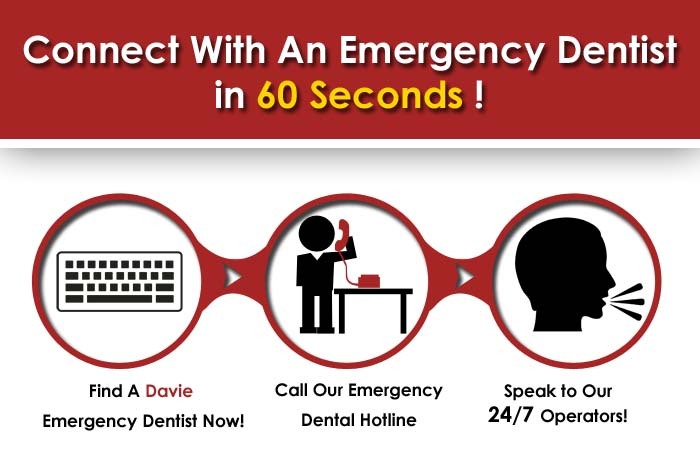 Finding an emergency dentist in Davie FL is easy with our 24 hour hotline, call today to get connected to an emergency dental clinic in Davie Florida! Whether or not you have an accident within working hours, 24 hour emergency dentists are available to receive you and ready a fix for your dental problem. Assuming you have an emergency that is resulting in immense pain, coercing you to seek medical attention, you could make an appointment at your nearest emergency dental care centre. The dentists and dental care units of Davie are many, each making certain that its patients are content with the services that they are receiving. About 99,000 male and female persons live in Davie, out of which about 29% consist of infants, kids and youngsters that are below the age of 19. 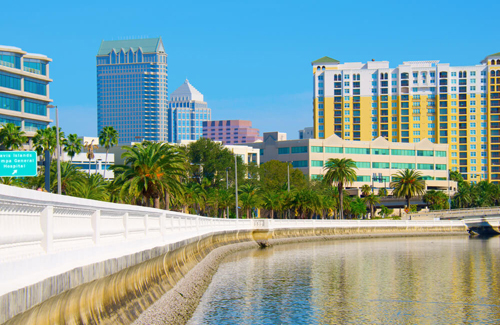 Davie is home to countless educational establishments, including the University of Florida. The Bergeron Rodeo Grounds also lie within Davie, an initial establishment for rodeos, later giving rise to the display of concert entertainers, air boat shows, monster truck shows and much more. Davie also has its portion of dentists, each well-practiced in various services, such as root canals, oral exams, dental surgeries and many others. Description: You can call 24 hours a day and 7 days a week to speak to an after hours dentist by using our emergency dentist Davie hotline. Whether you are looking for a dentist that is open on the weekend, or even a walk in emergency dentist, we’ve definitely got you covered. Our partners maintain a relationship with scores of dentists all over the country. Description:A dental care centre that promises after-hour emergency visits, Beaufils Dental is generally open five days a week, along with being open on every other Saturday, from 9:00 AM to 1:00 PM. On Mondays to Thursdays, they are open from 9:00 AM to 5:00 PM. On Fridays, they receive patients from 9:00 AM to 1:00 PM. To book an appointment, please call 954 951 4722. However, in the case of after-hours emergencies, call 954 937 8251. Their online form, five stars on Google Reviews, and patient statements will definitely help you book a meeting in no time at all! If you want a dental centre that does a tremendous job in family dentistry, Beaufils Dental is the place to go to. Description:A passionate bunch of dentists, the Stirling Dental centre is known to take a thorough check of their patients before procedures. Apparently, they not only do an oral screening, but they also check your neck and head besides examining your blood pressure. Their website is helpful for patients, old or new, providing directions to their chamber along with an online form that helps with booking appointments. To place an appointment, please call 954 437 6855. You should also know that Stirling Dental provides emergency appointments, be it on weekends or holidays, without any doubt. Description:This centre is open throughout the week from Monday to Thursday. Moreover, their staff is available on every other Friday and Saturday, allowing old and new patients to place appointments comfortably. To get in touch with this dental care unit, please call 954 434 0600. Dentures, veneers, partials, bonding and cleanings for patients of all age ranges are just some of the services provided by this dental unit.